All Sport™ Fidelity stereo sound from your digital music player or bike sound system. All Sport™ lets you hear the full range of your recording even at highway speeds. For the rider who wants to listen to their digital music player or radio, All Sport™ is the ideal way to take your tunes on the road. 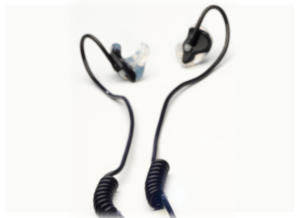 All Sport™ is a headset that connects to your digital music player and is specially designed to work in the harsh environment bikers endure. Wind noise, bike rumble, and traffic sounds compound to make listening to radio or music a challenge while riding. 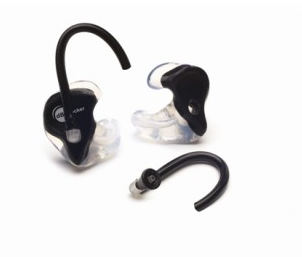 Custom Protect Ear has found a solution. 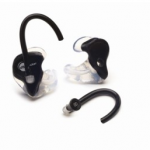 All Sport™ uses dB Blocker® ear pieces giving you extremely comfortable isolation from wind noise, bike growl and the quality music sounds of specially tuned dual stereo transducers. The sound reaches the protector through sound tubes that pass over the ear. This over-the-ear design allows for use with either full face or 1/2 shell helmets. It also allows for your All Sport™ to be easily repaired if you damage them. • dB Blocker® custom fitted ear pieces allows listeners to wear All Sport™ in complete comfort. 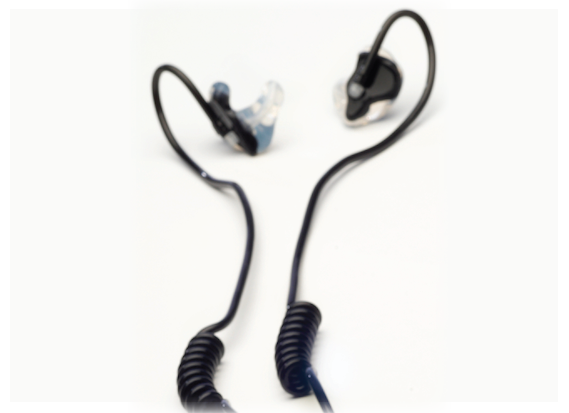 • The ear pieces are made from soft, flexible, medical grade, SkinSoft™ hypoallergenic silicone. • All Sport™ can be worn with full face as well as ½ shell helmets. 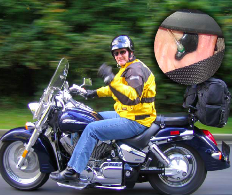 • The dB Blocker ear pieces create isolation from wind, traffic and bike noise. • All Sport™ has high quality stereo music transducers. DOWNLOAD THE PDF: dB Blocker All Sport.